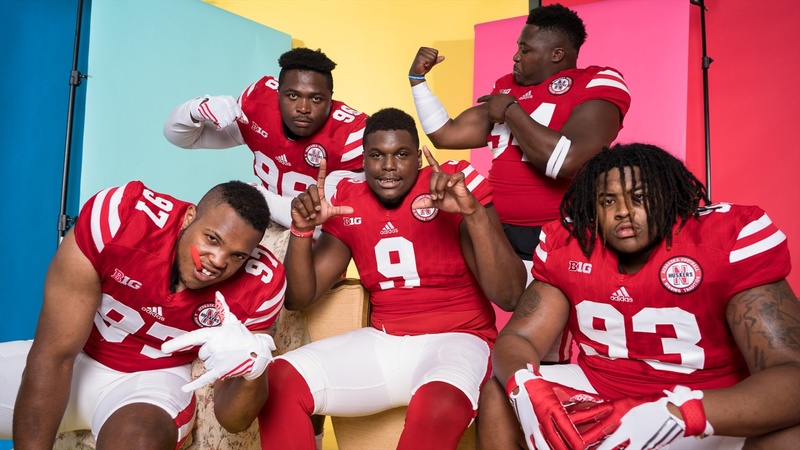 “Rotation” was one of the buzzwords from the preseason and on Saturday, defensive line coach Mike Dawson showed that wasn’t just talk as nine different defensive linemen saw the field in Nebraska’s 3-4 defense. The Huskers held Colorado to 44 total rushing yards and recorded seven sacks thanks in large part to the work of the big guys up front. The Huskers got a lot of production out of their line on Saturday, but only two of them — the two most experienced ones in seniors Mick Stoltenberg and Freedom Akinmoladun — found the iconic black practice jerseys known as Blackshirts hanging in their lockers on Monday. The younger linemen aren’t worried about continuing to practice in the Killer Bees jerseys for the time being. They know their time is coming. Davis, the fourth-year junior, was one of the standouts from that first game. He led the defensive line with six tackles after recording 15 of them all last season and matched his 2017 total with two sacks, the first of which was a huge shot on Colorado quarterback Steven Montez. In fact, the defensive line has a deal within their position room — any time a player gets a sack, he owes dinner to whichever linemen helped create that opportunity for him. Unfortunately for their position coach, he wasn’t part of the deal. On a more serious not, Dawson said he was happy to see that kind of a mentality from his guys, who often do interviews together so as not to call attention to any one of them over the others. Good things certainly happened on Saturday as the Buffaloes only mustered 44 total yards on the ground. Even taking the sack yardage out of the equation, Colorado topped out at 87 rushing yards which was 3.1 yards per carry. Saturday’s game was the first time Daniels got to play in a Nebraska uniform. The 6-foot-2, 340-pound nose tackle redshirted last season. Dawson said Daniels still has a lot of things to learn but he definitely saw some good things from the redshirt freshman. Thomas arrived in Lincoln with Daniels as part of the 2017 recruiting class but found immediate playing time as an undersized back-up nose tackle behind Stoltenberg. On Saturday, however, the 6-foot-3, 290-pound sophomore was back at his more natural position on the edge. Dawson certainly has no shortage of options on the defensive line and Nebraska is going to need a lot more of what they showed against the Buffaloes moving forward.